The Real Question is: How did Bacteria Escape a Primate Research Center? Burkholderia pseudomallei can cause a deadly disease called Melioidosis. Before you get nervous you should consider how unlikely a public health crisis is. A Louisiana based national primate research lab recently discovered at least four monkeys infected with the bacteria. 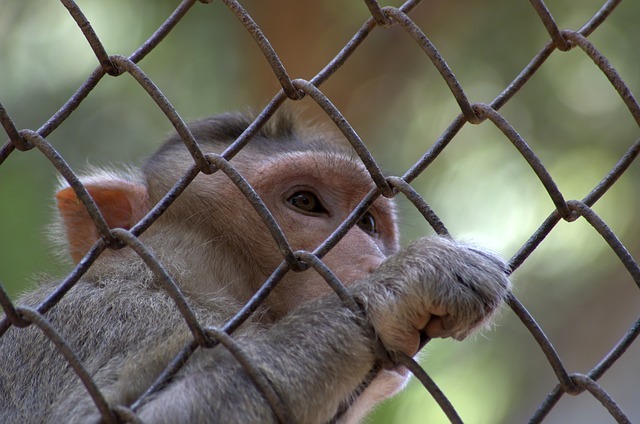 Test monkeys being infected might seem like a usual occurrence at a research center that performs animal testing but in this story, the rhesus macaques who tested positive for Burkholderia were not intentionally infected. In fact, to date, no one knows how the bacteria spread. In the modern 24 hour news cycle it can be difficult to recognize the meat of breaking news through the garnish of sensationalized headlines. This bacteria leak calls into question security measures at Tulane National Primate Research Center, the hidden and open dangers of biological weapons development and the efficacy of various government agencies. The UPMC Center for Health Security, a private bio-weapons contractor, estimates that while it is possible for the bacteria to be weaponized, it isn’t the deadliest or most effective contagion. So the issue here isn’t some weird conspiracy. In fact, even if this bacteria spreads to the wild and infects parts of LA state, it’s unlikely to cause a scare or epidemic. Burkholderia pseudomallei, is commonly found in Southeast Asia and northern Australia so it can live & spread in the wild pretty easily. It can even infect animals and plant life. It can gain a tenacious hold on an outdoor environment given the correct conditions. ON the other hand, the bacteria is contagious only if it enters an organism through cuts on the skin, according to Center for Disease Control and Prevention. In the first world, it doesn’t seem like it would be much of a problem. So how bad is it to come down with Melioidosis? fever, headache, loss of appetite, muscle and joint pain. A deadly level of illness from the bacteria is rare but the fatality rate is up to 50 percent in countries where the bacteria is allowed to thrive and adapt in the wild. So, if this disease takes root in America, it could adapt to a strain that can’t be as easily dealt with or contained. When the supposedly “high-security laboratory” called the Tulane National Primate Research Center in Louisiana reported “at least five” rhesus macaques were infected, Spokesman Michael Strecker also revealed the timeline for incubation. The estimate the date of infection being sometime back in November of 2014. A security breech or protocol violation occurred last Fall but there is no hard proof or record to explain exactly which mistakes happened. “Tulane continues to work with the CDC, USDA and the EPA, as well as state and local officials on this matter.”, Lackner also stated. Unfortunately, the research center’s security was called into further question when a CDC federal investigator came up positive for burkholderia. Jason McDonald, a CDC spokesman, told ABC News there were no clear answers as to how the investigator was infected, but David Strecker insists it couldn’t have been at the center itself because of the thorough clean up effort the facility had already gone through before the investigator fell victim. “The veterinary hospital has been thoroughly disinfected, and additional animal testing is ongoing,” Director Lackner agreed. Tulane has suspended all further research until a thorough investigation answers pressing questions. The infected monkeys were euthanized. It seems there isn’t much left to discuss aside from… how the %^&* did this leak actually happen?